The research is clear: happy workers are more productive workers. ‘Managing for Happiness’ is about concrete management advice for all workers. Practical things that people can do next Monday morning in order to make the organization a happier place to work, with people who run experiments and drive innovation. Agile transformations don’t end with introducing Scrum in the software teams. In this session, you will see with a number of inspiring stories and examples how to manage the system, not the people. This is relevant for everyone who is concerned about the organization. A happier organization starts with people managing themselves. Du hast noch Fragen zum Talk? Keine Scheu, bei uns soll keine Frage offen bleiben. Nach dem Talk kannst Du Dich mit den anderen Teilnehmern austauschen und den Abend langsam ausklingen lassen. 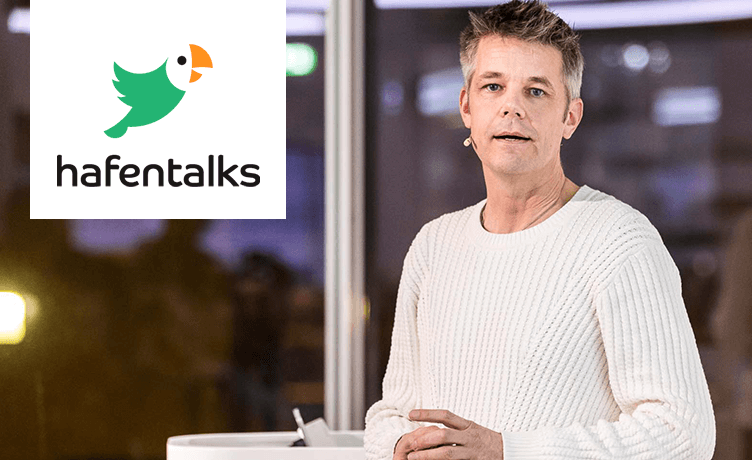 As a serial founder, successful entrepreneur, author and speaker, Jurgen Appelo is pioneering management to help creative organizations survive and thrive in the 21st century. He offers concrete games, tools, and practices, so you can introduce better management, with fewer managers. He is CEO of the business network Happy Melly and co-founder of the Agile Lean Europe network. Jurgen is the author of the book Management 3.0, which describes the role of the manager in agile organizations. His most recent book is called Managing for Happiness, which offers you practical ideas to engage workers, improve work, and delight clients. Inc.com has called him a Top 50 Leadership Expert and a Top 100 Leadership Speaker.